The Takman REX (carbon film) 1 watt resistor is specifically designed for audio featuring very low inductance and microphony. The REX yields a relatively warm presentation. It will produce most of the warmth of a carbon comp without all the drift and noise. Our Takman resistors are better than 2% tol. 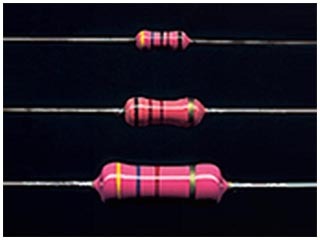 This audio grade resistor offers excellent price to performance ratio among other carbon based audio resistors. Note the 1 Watt Takman has 0.040" (1mm) diameter leads.